They say the best way to your lover’s heart is through their stomach. With Valentine’s Day right around the corner, it’s time to start cracking down on how you’re going to show your special someone (or yourself, to all my single pringles out there!) how much you care - with food! Not only are these DIY treats Pinterest-inspired, but they’re waaaaay tastier than any handmade card could ever be. First off, for all my chocolate lovers out there, these fudge brownies are too cute for words and look hella yummy. Grab a box of your favourite chocolate brownie mix and follow the included baking instructions. When you take them out of the oven, let them cool for 5-10 minutes, and then cut them into small square pieces. To Valentine’s Day-ify your treats, garnish your brownie bites with pink frosting and conversation hearts for extra brownie points. Nothing says Valentine’s Day more than the colour red, am I right? Besides, Valentine’s Day would not be complete without these Red Velvet sugar cookies. You could totally lookup a homemade sugar cookie recipe online and bake these from scratch, or, if you’re a simple lover in a rush, purchase a sugar cookie box mix and achieve the same result! Don’t forget to add some red food colouring into the mix before you bake them to get that signature Red Velvet look. Top off your cooled cookies with some cream cheese frosting and mini heart candies and get REDy to win over your significant other. 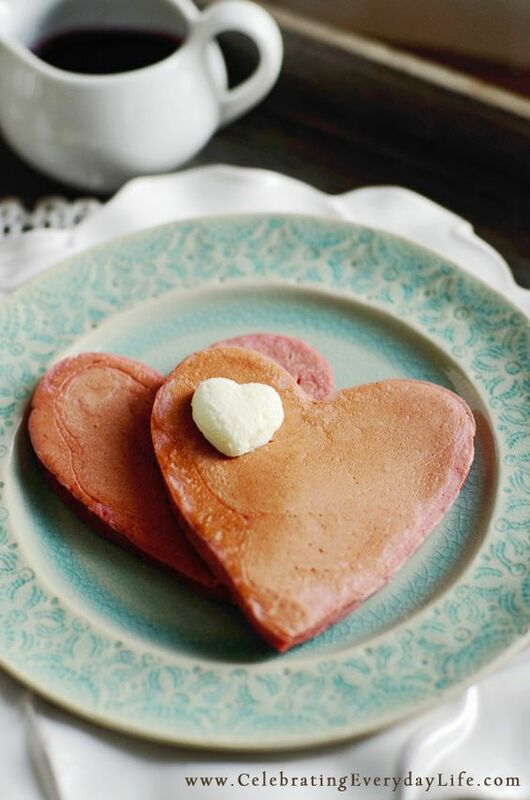 If you’re more of a morning person, start Valentine’s Day off with a little love by making these adorable heart-shaped pancakes. Make your, or your special someone’s, breakfast extra special this year by using a heart-shaped mould to cook your pancakes! Just add some whipped cream, syrup and strawberries to the finished product and voila – Valentine’s Day breakfast is served. Finally, for those of you on a health-kick, make sure to try this super yummy vegan option if you’re hoping to really make an impression this Valentine’s Day! This treat only calls for 2 ingredients - quinoa and bittersweet chocolate! Mix a quarter cup of quinoa with 8 oz. of melted bittersweet chocolate, then pour the mixture into individual heart-shaped moulds and pop them in the fridge for a few hours! Warning: these will taste delicious - gift them to your Valentine at your own risk! So, forget the clichéd chocolate covered strawberries and try one, or even all, of these tasty treats this upcoming Valentine’s Day. Remember, Valentine’s Day is all about caring…and sharing tasty treats! Wilfrid Laurier Student who loves anything and everything related to fashion, beauty and lifestyle. Constantly living life though the wise words of fashion icon Coco Chanel, who preaches, "In order to be irreplaceable, one must always be different."